F1 Midweek: Is Red Bull's Two-Year Engine Deal With Honda The Right Decision? Home / Formula One / F1 Midweek / F1 Midweek: Is Red Bull’s Two-Year Engine Deal With Honda The Right Decision? F1 Midweek: Is Red Bull’s Two-Year Engine Deal With Honda The Right Decision? 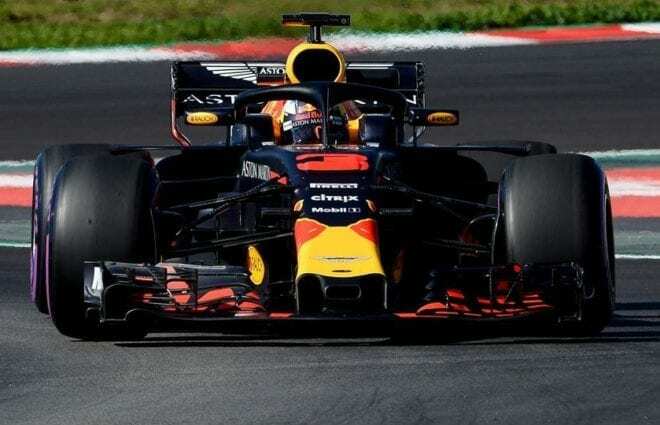 Given an ultimatum that the Red Bull Racing Team only had until the end of this week to decide whether they want to extend their engine contract with Renault, it was finally decided on Tuesday (June 19th) that the Austrian drinks manufacturer will no longer have their engines supplied by the French company in 2019, and signed a two-year deal with Honda. It will be a deal that will supply not only Red Bull, but also their sister team, Toro Rosso, who currently are using the Japanese engine this season. Honda became a possible choice for Red Bull when, following many political ideas, Renault left Toro Rosso and supplied engines to McLaren, leaving Honda with only one engine partner. Normally engine companies like Ferrari and Mercedes have supplied mostly three teams. Between 2010 and 2013, Red Bull won four consecutive world drivers and constructors championships, being powered by the Renault engine. But in 2014, when hybrids were introduced, and Renault’s engine became a problem, it led to Red Bull almost departing from the French manufacturer. The two renewed their contract in 2016. Since then, there have been some victories, but the engine has been short on power in comparison to Ferrari and Mercedes. In addition, the Renault label was taken off the car and replaced with Tag Heuer, a Swiss watch manufacturer, to call it simply a Tag Heuer branded Renault engine. What caused the final decision for Red Bull was that Renault needed a solid answer to decide how much inventory they needed for engine distribution for customers. Red Bull wanted to wait until July 1st at their home race to decide. But Renault felt that Red Bull was stalling, and this sealed the deal since Red Bull felt that the Honda engine was showing promise when it performed well on the Toro Rosso at the last round in Canada, something that Team Manager Christian Horner agreed on. Renault felt that after 2014, the two teams failed to come together for a works deal earlier, and bond as a controlled customer/supplier relationship. It curtailed into an attitude problem between the two, which spiraled out of control. To Renault sporting director Cyril Abiteboul, the problem lied in not having the French manufacturer’s engineers work closely enough with the Red Bull personnel. “What we did not manage to do is understand and appreciate the complexity of the 2014 regulations and appreciate together that the model of a customer on one side and a supplier on the other side was completely blown away by the new regulations,” said Abiteboul, who reminded many earlier in the season. With Renault improving both in their chassis and the engine, was it a mistake for Red Bull to sign for a powerplant that McLaren could not handle after three seasons? Only time will tell, until 2021. Next Did You Notice? : Does NASCAR Practice Make Perfect? This is the equivalent of giving Adrian Newey the task of reintroducing the Volvo 240. I wonder where Ricciardo is going to wind up? Think this will work to both sides benefit. It gives Red Bull the advantage of being the flagship team for a manufacturer. At the same time it removes some of the friction that Renault had dealt with from Red Bull. I look for more success from both sides. Now whether it will let them close the gap to Ferrari and Mercedes we shall see. Probably close the gap but not pull even I would think.